Completed in 1824, Beethoven's Choral (9th) Symphony is considered to be one of the best known works of the Western classical repertoire. The most popular vocal scores for Beethoven's Choral Symphony are shown below. The Symphony No. 9 in D minor, Op. 125 "Choral" is the final complete symphony of Ludwig van Beethoven. Completed in 1824, the symphony is one of the best known works of the Western classical repertoire. Its cultural impact as an icon of Europe is so great that it has been adapted for use as the European Anthem (a proposed forerunner to an eventual national anthem) as well as seeing brief official use by the fledgling state of Kosovo, symbolising that country's political prioritising of the European Union over the Russosphere. 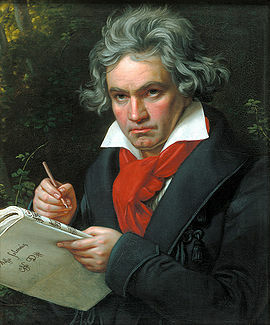 It is considered one of Beethoven's masterpieces and one of the greatest musical compositions ever written. 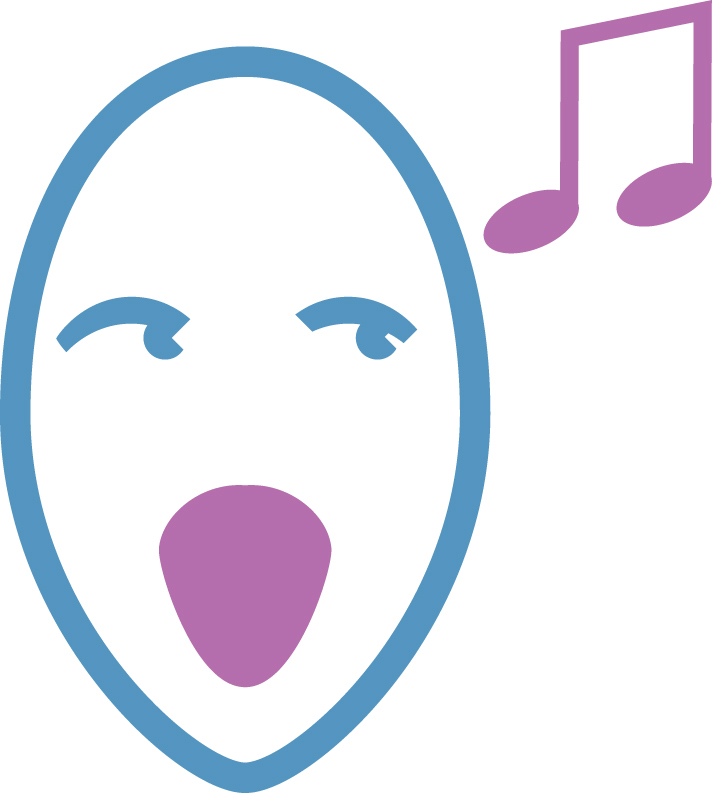 The symphony was the first example of a major composer using voices in a symphony. The words are sung during the final movement by four vocal soloists and a chorus. They were taken from the "Ode to Joy", a poem written by Friedrich Schiller in 1785 and revised in 1803, with additions made by the composer. 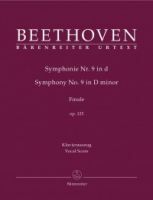 The work has a strong and obvious connection to Beethoven's earlier Choral Fantasy (for piano, choir and orchestra), which some have seen as a kind of "trial run" for the Ninth. The Fantasy certainly steals the Symphony's thunder in terms of being the first orchestral work to add a choir, but for sheer all-encompassing ambition the Symphony is deservedly the far better-known piece.